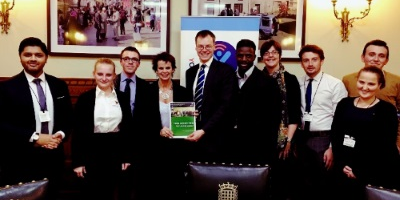 Late last year, in our role as the secretariat for the All Party Parliamentary Group for Youth Employment we launched an inquiry into best practice that helps young people furthest from the labour market into employment. too many young people still face barriers to employment. new policy and funding models can create perverse implications for social mobility. young people furthest from the labour market face a number of barriers meaning it can be a struggle to complete programmes with pre-determined markers for achievements. Ensure that all young people in education have access to work experience. Information, advice and guidance must be both aspirational and practical and include helping with the soft skills that are so important to securing employment. “We are an aspirational nation, and this is highlighted most by the energy and vigour of our young people. Their drive and potential is huge. They rightly want the opportunity to build a brighter future and it is our job as Parliamentarians to enable them to fulfil that promise. This is why we must redouble our efforts to eradicate long term youth unemployment and give young people the opportunity to pursue a fulfilling career and build a better future for themselves and their families”.